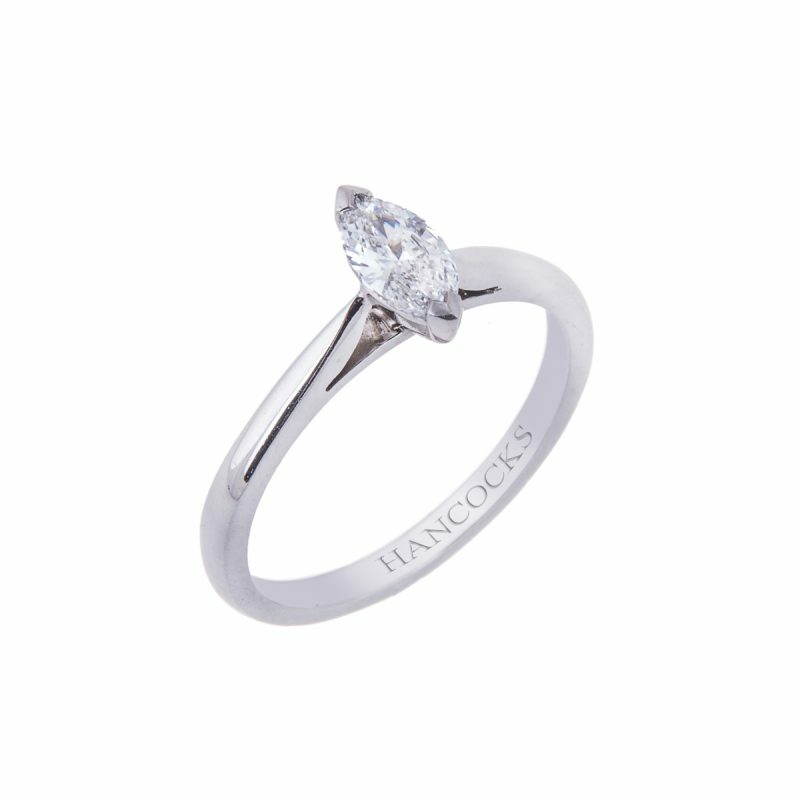 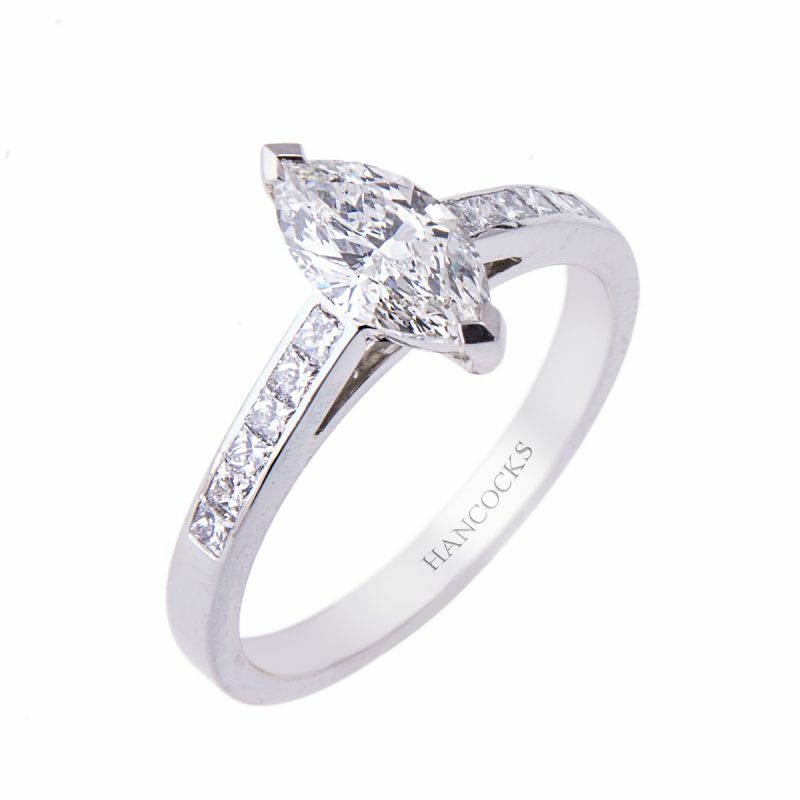 Feel confident proposing with this elegant marquise cut diamond single stone ring. 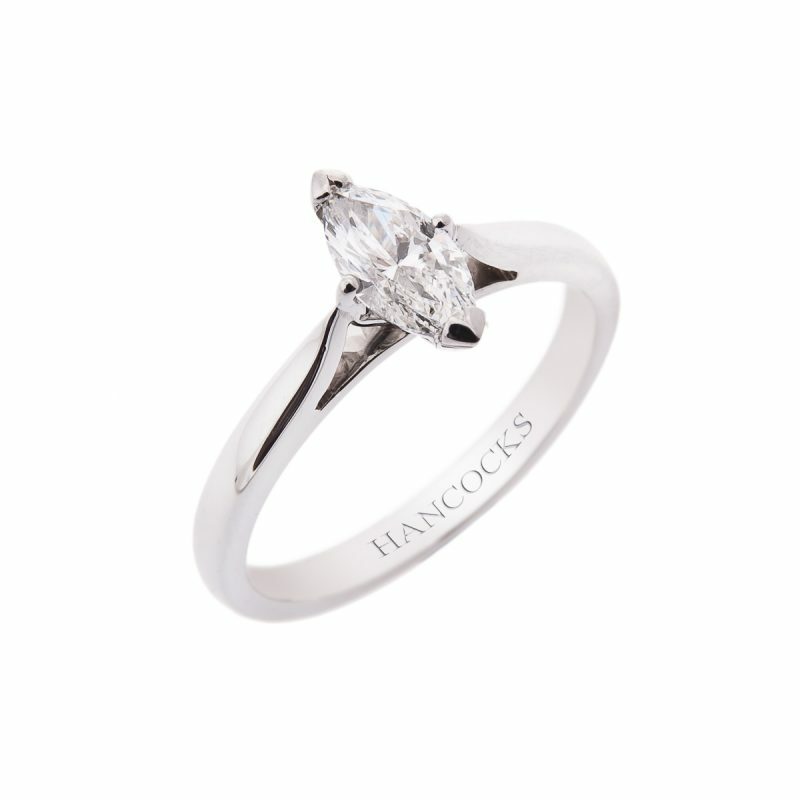 This stunning ring is set in a V-claw setting that securely but subtly hold the diamond accentuating its unique and beautiful shape. 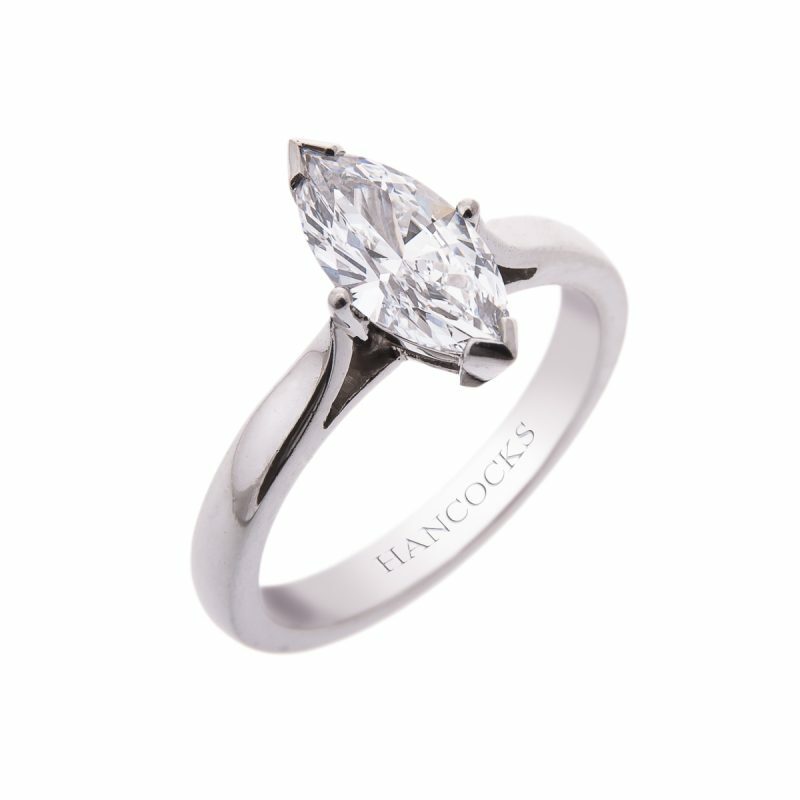 Mounted in platinum, the long lines of this GIA certificated marquise cut give it a vintage and timeless feel, perfect for those who favour an understated style. 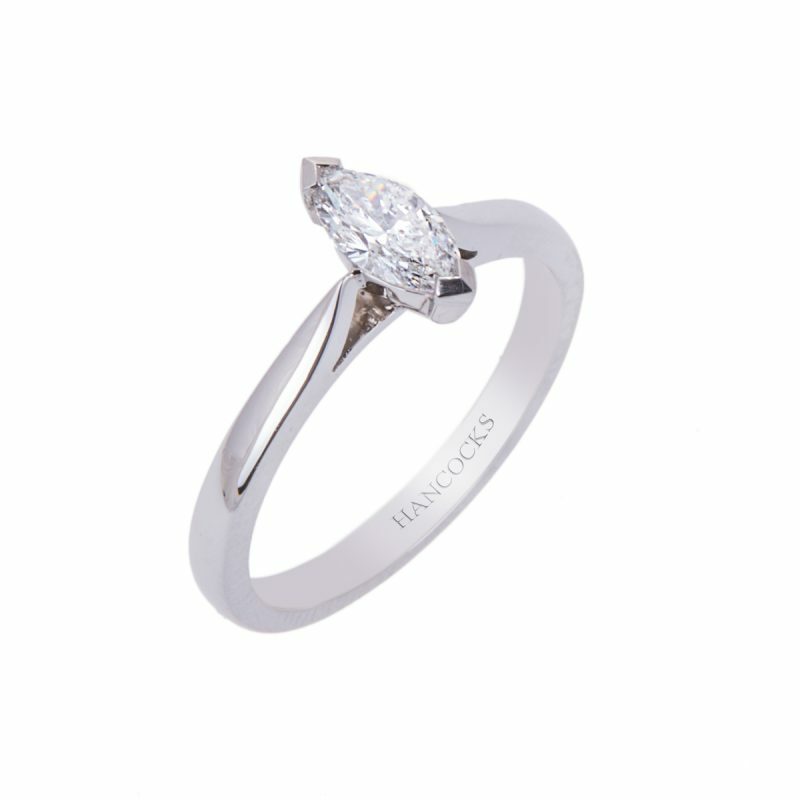 Its clean lines show case its natural beauty, whilst its cool depths reflect your individual taste to envious eyes.